The newly developed and patent-pending StyroClick profile is a thermal extension profile with substantially improved U-values, quicker assembly and a wide area of application – including windows, doors and other building components. 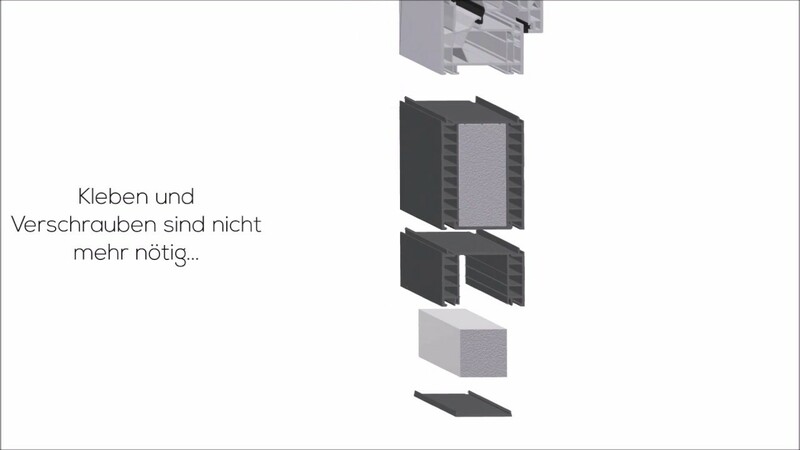 The new StyroClick profile can be used in many ways and can be easily adapted to an existing window system with regard to dimensions and catch mechanisms. StyroClick represents the perfect extension to your existing window system and offers your end customers a direct and measurable benefit in terms of energy savings. Another benefit of StyroClick® is that it is completely recyclable. The extruded profile is comprised of extremely hard-wearing PVC with all the benefits of this material: Completely maintenance-free, long lifespan and resistant to UV. As it is made purely of PVC and can easily be separated from the insulation core, the profile is 100% recyclable as a mono-material. At the end of the product’s useful life, the profile and insulation core can be separated from one another with no residue and thus can be easily recycled as a mono-material. Primo is your experienced partner when it comes to extruded profiles from plastic, rubber or composite materials. Most of our profile solutions are developed in close collaboration with our customers – this is how we deliver added value throughout the value chain. We follow our customers, providing logistics and servicing solutions to match their requirements wherever they are. We are driven by our passion for extrusion technology and the countless possibilities offered by modern plastic and compound materials. A constant focus on development, technology and craftsmanship combined with a solid financial base make us a trustworthy and long-term partner for companies across the globe. We are an international company operating on a global market. This means that we follow our customer – and our customer’s customers. With production in the Nordic countries, central Europe, Russia and China, Primo lives up to the demands for a total supplier of plastic solutions in an ever-globalising marketplace. We also deliver a range of standard profiles – take a look at our product catalogues and find out more. Whatever your ideas and needs, Primo can find the solution for you. Our experienced product development and compounding teams are ready to assist you. Contact us and let us discuss your needs, ideas and projects.